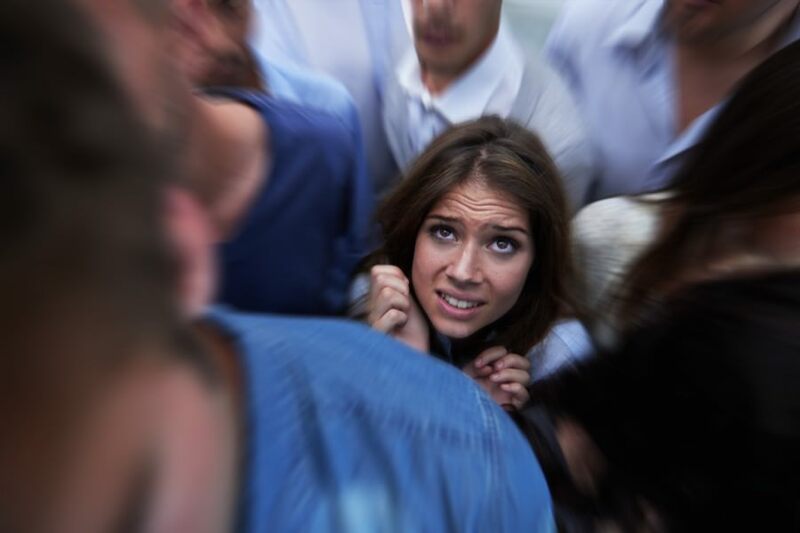 While some anxiety is normal in everyday life, chronic anxiety symptoms can create an overwhelming sense of fear and self-doubt that can paralyze sufferers. If you are curious about seeing a doctor to treat anxiety but are hesitant about taking medications to treat your condition, holistic treatments for anxiety are for you. MD Wellness can show you how to treat anxiety naturally to overcome your struggle. Anxiety is a name given to a chronic functional problem that causes you to suffer from fear, restlessness, palpitations, dry mouth and sweatiness for no apparent reason. Chronic anxiety symptoms often include fatigue, irritable bowl syndrome, hormonal imbalances and insomnia. When you see an MD Wellness doctor to treat anxiety, you will find that anxiety is usually multi-factorial. As part of your holistic treatments for anxiety, you will learn that some of the contributing causes of chronic anxiety symptoms may be poor bowel health, hormonal imbalances, metabolic imbalances, environmental toxins like mold exposure and poor glycemic control. When you learn how to treat anxiety naturally, you will find that symptomatic treatment is usually unsuccessful. Only finding and treating the root cause of the problem will lead to a successful outcome. This is the essence of holistic treatments for anxiety at MD Wellness. If you suffer from chronic anxiety symptoms, you must pay very close attention to your diet. The foods you choose to eat day in and day out can cause you to suffer from low blood sugar problems. Low blood sugar will activate the sympathetic nervous system and promote the secretion of adrenaline. This is one of the primary culprits involved in the onset of anxiety. Therefore, excessive carbohydrate and sugar intake must be avoided to maintain stable blood sugar levels. Other edible culprits in contributing to chronic anxiety symptoms are fried foods, vegetable oils, and neuroexcitotoxins like MSG, aspartame, nitrates, and nitrites. Specific food allergy testing may be necessary as well. You may be allergic to soy, wheat, milk and gluten, or other common foods. Undetected food allergies will over stimulate your immune system and can lead to metabolic imbalances that worsen chronic anxiety symptoms. Another common poorly recognized cause of anxiety is chronic immune stimulation resulting from exposure to the interior of a water-damaged building including mold and other biotoxins. Our medically supervised holistic treatments for anxiety are rooted in our belief, “find the cause, and fix the cause.” To learn more about MD Wellness and how to treat anxiety naturally, contact us online or call (732) 268-7663 for a consultation.